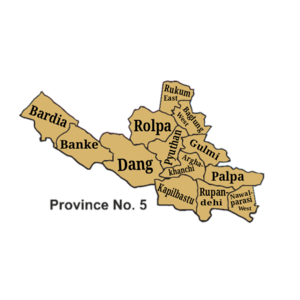 Butwal –The Province-5 has intensified enacting provincial laws. The province assembly has so far has passed different 15 bills. According to the province secretariat, the first session of the assembly had passed eight bills while second session passed seven bills. However, a bill prepared to manage the role and responsibility of provincial public service commission is under discussion at the province affairs and law committee at the province. Chief Minister Shankar Pokharel shared that the upcoming session will be centred on enacting laws and planned developed in the province.